Burgess Edge to Edge Shallow Divans incorporate a pocketed spring system within a firm timber edge construction. 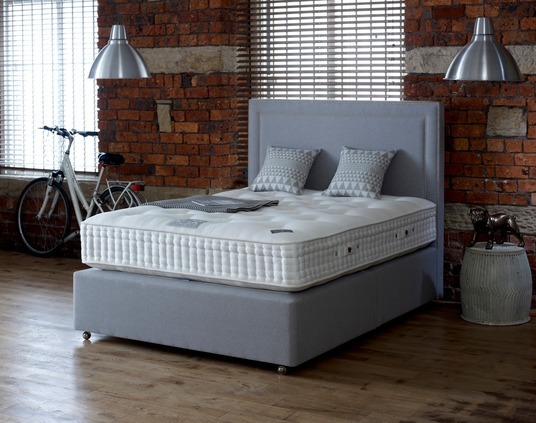 The advantage of this is to firm the edges of the mattress above, avoiding the ‘roll off ’ feeling, whilst ensuring optimum edge to edge comfort & support over the full width of the sleeping surface. a choice of 6" wooden or chrome or 4" wooden foot available. 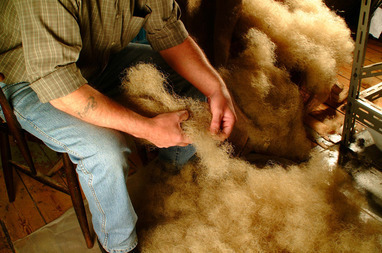 Castor can be added onto the wooden foot if required. Burgess Edge to Edge Full Depth Divans incorporate a pocket spring system within a timber edge construction. 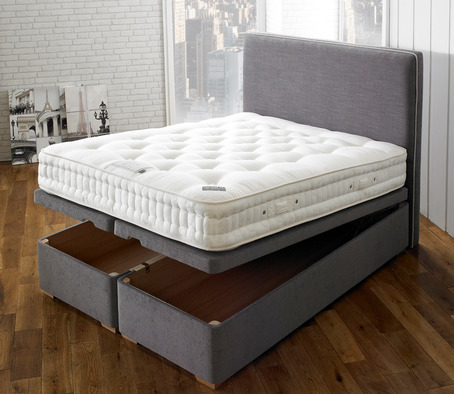 The advantage of this is to firm the edges of the mattress above, avoiding the ‘roll off ’ feeling whilst ensuring optimum edge to edge comfort and support over the full width of the sleeping surface. 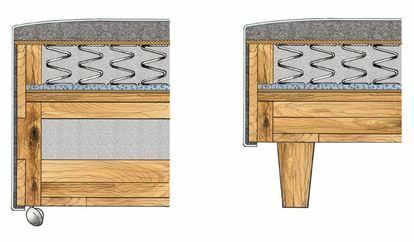 Burgess Edge to Edge Full Depth Divans are available with the added option of drawer storage and the choice of feet or castors. 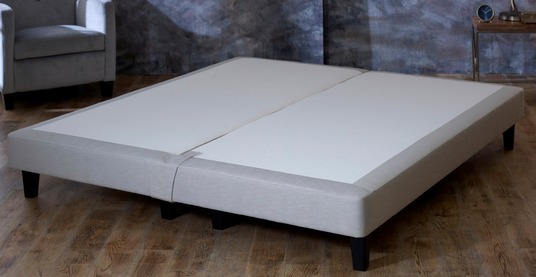 The Burgess Ottoman Storage Divan is a padded top divan. 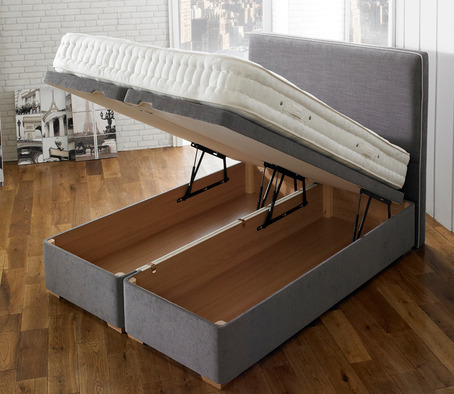 The lift action, powered by gas struts, is suitable for all Burgess mattresses. The entire bed lifts up from the footend. Double sizes and above are all split north to south. 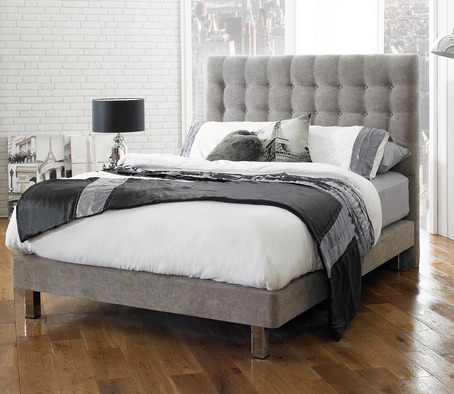 The divan, which is 14” deep, comes with standard UK headboard fittings plus a choice of foot and with a full choice of upholstery fabrics. 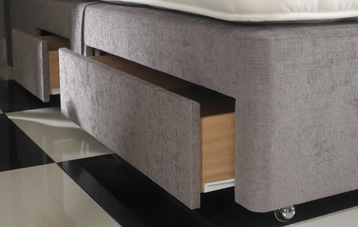 Note Due to the weight of the divan it is recommended that the Ottoman has a foot not castor.